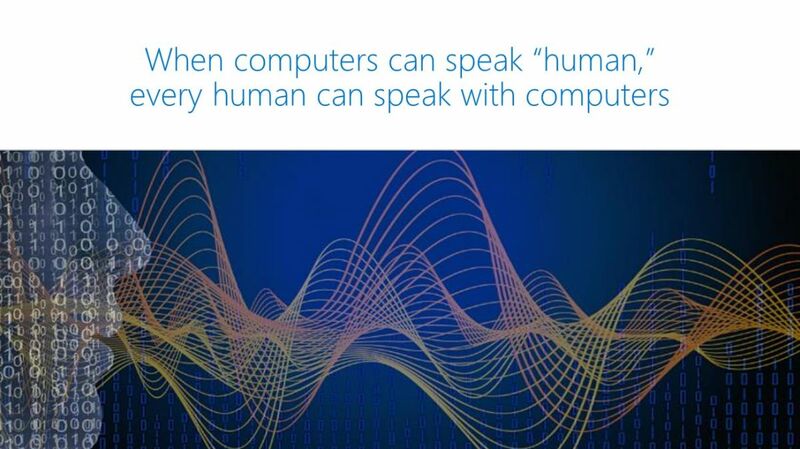 Microsoft is Creating Artificial Intelligence That Can "Speak Human"
In 1991, Microsoft founder Bill Gates put up his company’s specialized research arm The aptly named Microsoft Research was to be the vehicle to fulfill Gates’ “vision that computers would one day see, hear and understand human beings.” Now, after years of work by the best and brightest minds in the company, that vision is closer to becoming a reality. Microsoft Research has become one of the most accomplished labs in artificial intelligence (AI) development. The computer vision algorithms it has pioneered have achieved substantial success. “Across several industry benchmarks, our computer vision algorithms have surpassed others in the industry — even humans,” said Harry Shum, Microsoft’s Artificial Intelligence (AI) and Research group EVP. These developments in computer vision allow for AI that see and listen, that understand better than ever before. Microsoft’s programs include Microsoft Cognitive Services that power Uber, a Skype translator algorithm that works in nine languages, and Microsoft Translator equipped with intelligent language and speech recognition capabilities that allow for simultaneous translation between groups speaking several languages. Microsoft’s vision of the future includes making AI available for all. “We have always sought to democratize technology,” said Shum. “With AI, we will do that in two ways — by infusing into products such as Office 365, while creating a platform on which others can build and innovate”. Their collaboration with OpenAI clearly shows this.